All Our Sons transports us to 1947 America where, despite hard choices and even harder knocks, Joe and Kate Keller are a success story. They have built a home, raised two sons and established a thriving business. 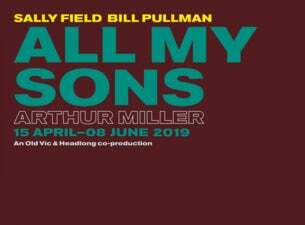 Sally Field and Bill Pullman will star as Kate and Joe Keller in Arthur Miller’s All My Sons, directed by Jeremy Herrin, in a co-production with Headlong Theatre at The Old Vic.